Superior physical properties compared to other “universal” systems. Significantly higher bond strengths to enamel and dentin. Low film thickness allows deep penetration and formation of complex Hybrid Network. 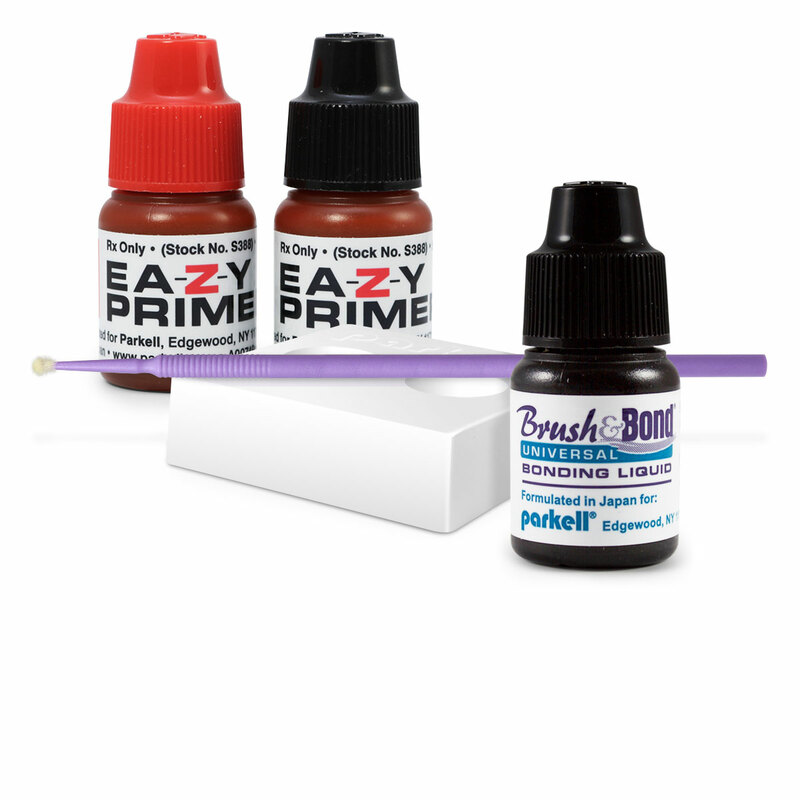 Kit includes Ea-Z-y Primer™ for use on lithium disilicate and zirconia restorations. When it comes to adhesive resin bonding, all that counts is LONG-TERM PERFORMANCE. Parkell’s Brush&Bond Universal Adhesive System provides immediate AND long-term bond stability, so your anterior and posterior high-stress resin restorations will stand up to years of patient use. A Universal Adhesive System that may be used on dentin, enamel, ceramics (including porcelain, zirconia and lithium disilicate) and dental alloys, Brush&Bond Universal boasts impressive bond strengths by forming a Complex Hybrid Network into the dentin tubules. The adhesive’s low viscosity and almost undetectable film thickness of 3 microns provides excellent coverage and desensitization without interfering with the fit of restorations. It is compatible with self-cure, light-cure and dual-cure resin composites such as Absolute Dentin™, HyperFIL™ and more! We’re certain that you’ll find Brush&Bond Universal an integral part of your restorative procedures.